A streaming device or player is a cool gadget to have in your home or studio. Company like Google, Amazon, Apple, and Roku have released some of the top best streaming devices in the market. In this review, I take a look at Google Chromecast, Roku Streaming Stick, and Fire TV from Amazon. 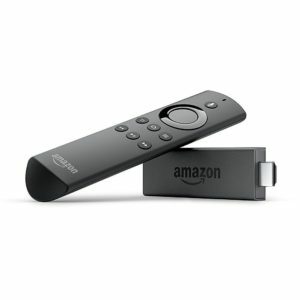 Amazon All-New Fire TV was released in 2017. Just like the Chromecast Ultra, this streaming device supports 4K Ultra HD at 60 fps. In addition to video streaming, you can also use your Fire TV to view camera feeds, control lights, thermostats, and other compatible smart home devices with your Alexa Voice Remote. This is probably Amazon’s killer feature. Support over 17,000 apps, games, and Alexa skills including Netflix, Hulu, HBO NOW, YouTube, Amazon Video, NBC, WatchESPN, Disney, and more. One of the most remarkable things about the Amazon Fire TV stick is that it’s priced under $50. And what you get the massive entertainment content and Alexa by Amazon and its growing content partners. Sound familiar? Just like Chromecast Ultra, this Roku streaming player can stream in HD, 4K, and HDR contents. It’s one of the premium products made by Roku, which has a good range of streaming devices. However, unlike the Chromecast Ultra and the Fire TV, you can also play movie on your the Rokue Ultra, which has the built-in USB and microSD ports for additional storage. Voice remote with TV power and volume buttons, headphone jack for private listening, gaming buttons and lost remote finder. Google Chromecast Ultra came out after the success of the first generation Chromecast and the Chromecast 2. The difference is that Chromecast Ultra has the capability to stream Stream up to 4K Ultra HD & HDR picture quality movies. This streaming player made by Google is about $30 more expensive than the Chromecast 2. Chromecast Ultra has a built-in Ethernet adapter, which allows you to stream over a wired connection. My smartphone, iPad, and laptop are the remote control. It’s easy to search, browse, queue, star, and more. Are you looking for 1080p streaming devices? 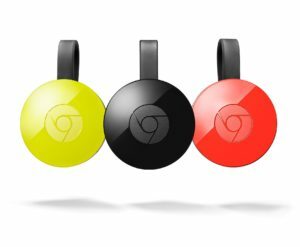 The Google Chromecast is a cheap, simple way to stream video content right to your TV from your smartphone or computer laptop. This is the latest generation streaming media device made by Google. The first generation of Chromecast was like a USB dongle. Google Chromecast 2’s performance is noticeably faster. Chromecast 2 is the best gift for Android users. What makes Roku streaming devices the best for most users is because Roku the company partners with the content producers. There are more than 500,000+ movies and TV episodes. You’d also enjoy movies, TV original series, kids’ shows, news, sports and more. Watch almost anything across thousands of free or paid channels available in a click. 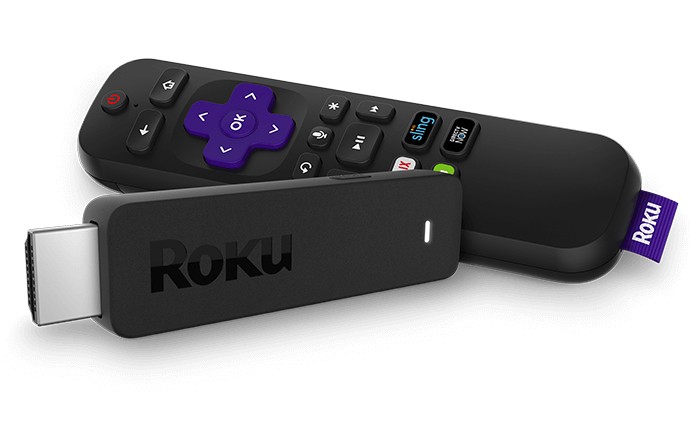 The Stick can pair with Roku’s mobile app to browse and select channels to stream and it should allow for cross-media searches. Installation was as easy as attaching the Stick into TV’s HDMI port. Like the Google Chromecast, the Stick works with a power adapter that needs a wall outlet. These streaming players are in the same category because they support Full HD video content (1080p). There are also some differences in each media player. So read on to learn more about the best streaming media players you should buy. With the best 4K streaming devices you can enjoy live show, Netflix, and great content and to replace your cable or TV Box. The streaming device simply works with any TV (not so smart) with an HDMI port. With its own mobile application, you can then cast your videos, photos, and music to the large screen TV. Even your home TV doesn’t subscribe to cable or satellite, you can still watch the best of live TV and sports from AMC, HGTV, ESPN, FOX. The best streaming devices offer you one of the most inexpensive ways to stream hours of content to your TV. That’s what makes these streaming media players so popular. You need a decent WiFi signal in the location you intend to use the TV. It’s essential to have a decent internet connection.